In making my Hungarian Stuffed Cabbage a couple of weeks ago (yes that post is coming) we did not have enough ham broth so I bought some ham pieces and boiled them in water to create the additional needed broth. Well, as it turns out, I made more broth than needed so I decided to make a pot of beans with ham. 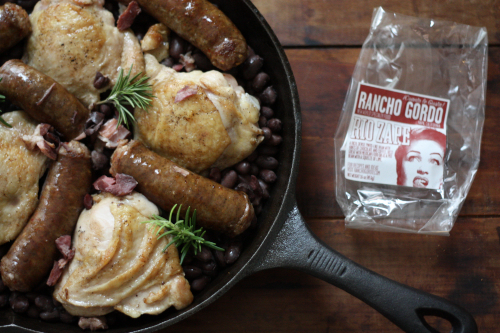 After a recent stop off at Little House Green Grocery, I picked up a bag of Rancho Gordo Rio Zape Beans which I thought would make the perfect pot of beans! 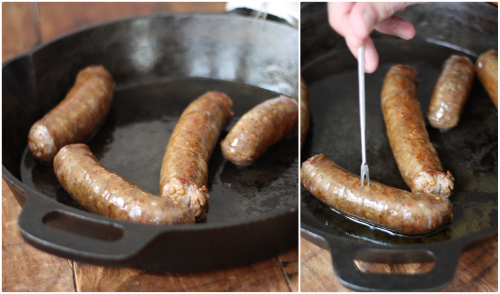 That required frying up some spicy whole hog sausage from Smith's Red and White in Rocky Mount, NC — piercing the skin to let the juices run out so I would have some grease to fry up 4 bone in chicken thighs. 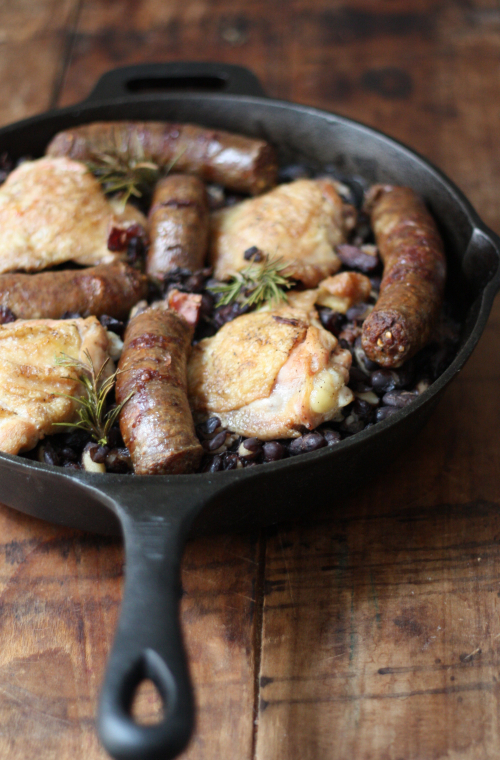 Putting the beans in the cast iron pan then layering that with the chicken thighs, sausage, ham pieces, and a few sprigs of fresh rosemary — letting it do its thing in the oven for about 30 minutes at 350 degrees. 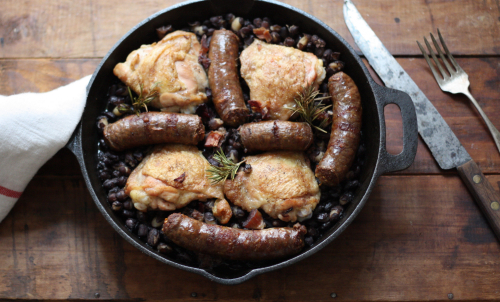 Us enjoying a flavorful cast iron skillet cassoulet of beans, sausage, ham, and chicken. That my friends is how you make a pot of beans! Thanks for the heads up on the sausage. Never heard of it and have to make a trip this weekend. 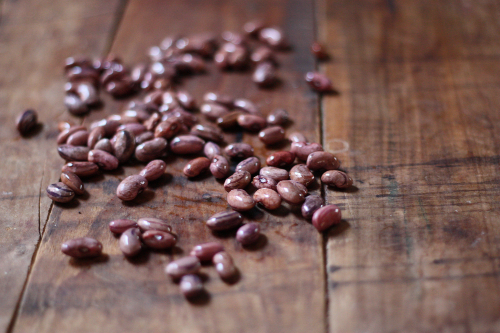 I've got the same beans from Little House so this recipe fits perfectly. Great post. Thanks Chris I need to make another trip down as I am now out. An amazing normal looking grocery store right off 95 until you get to the back corner. Whole hog sausage heaven I tell ya! Perfect... "Whole hog sausage heaven." You have to give that a go!